CrossStitch had the most liked content! Log onto Canterlot. 16 Notifications. Huh, I may have missed a bit. 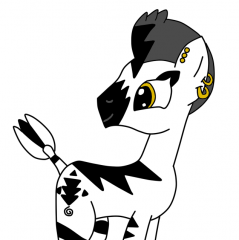 The pony drawings. They call to me. Color me curious and call me intrigued. 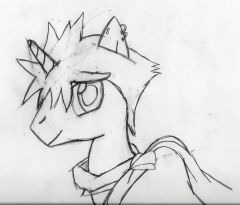 http://fairbreezy.deviantart.com/ There's my deviantArt with most of my drawings on it. 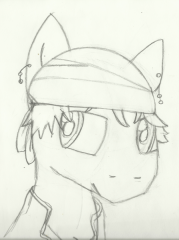 So, I started a topic here a while back where I started drawing ponies... That was a while ago and since then I've been on and off of Canterlot and drawing quit a bit in my spare time. I even got myself a tablet. 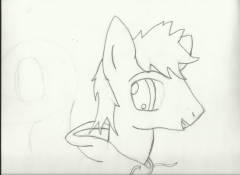 Anyways, for those of you who remember my old drawings, perhaps you could tell me if I've improved! 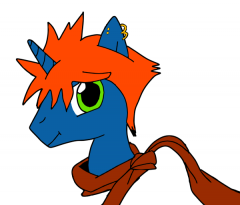 For those who have NOT seen them... LOOK I DREW PONIES! 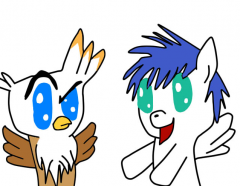 http://th09.deviantart.net/fs71/PRE/i/2012/108/a/0/jackleapp_sketch_by_fairbreezy-d4wnzlh.png (And griffons.) http://th08.deviantart.net/fs70/PRE/i/2012/109/3/b/rainbow_dash_by_fairbreezy-d4ww9zg.png http://fc00.deviantart.net/fs70/i/2012/110/0/e/i_drew_a_griffon_by_fairbreezy-d4x1f3d.png http://fc03.deviantart.net/fs71/i/2012/124/7/9/pony_sketch_by_fairbreezy-d4ykicn.png http://fairbreezy.deviantart.com/ <My deviant art with many other non-pony related drawings. Comments? Tips? Anything? Yeah, alright! I mean, Pikachu! Cross-Stitch smiled, "Right; Mr. Flink, then," He said, laughing a bit. The name seemed to tickle his tongue as it rolled off of it. "Flink, you should really calm down..." Cross-Stitch said, growing ever more concerned the longer that the pegasus talked, "Has work been this stressful to you? My, it makes me feel lucky that I didn't find myself in such a career." He shook his head, unable to imagine what the doctor must have gone through to end up in such a wreck. An idea popped in his head, a way to repay the good doctor for what he had done for him, "Ah! Let me make you some tea, perhaps that will calm you." Cross-Stitch walked over to the door of his shop and flipped the 'Open' sign to 'Closed,' "I also live here, you see. The living quarters are up the stairs here." Cross-Stitch crossed the room as he spoke and began to ascend the stairs, trying to decide what kind of tea Flink would prefer. Cross-Stitch immediately snapped up as he hear the bell with a wide grin on his face. Finally, a customer! Finally, some business! Finally... But unfortunately it wasn't a customer. It was Flitwink, the doctor who had helped him the other day and even promised a visit when he wasn't too busy. Sure enough, here he was, in the shop. It wasn't a customer, but Cross-Stitch was perfectly fine with it, it was something to break up the slow moving day. "Oh, Hello doctor Flitwink." 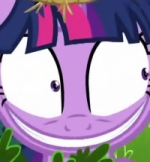 He said with a wide smile and a tilt of his head, "What brings you to my little corner of Canterlot? Was it a slow day for you as well?" It was a slow day at 'The Perfect Fit,' the store owned and ran by CrossStitch. Dresses, shirts, jackets, and all kinds of clothing decorated the mannequins around his shop, but no customers were there to buy them. He should have guessed that eventually he would have a slow day, and today was the very definition of the phrase 'slow day.' He rested his head on the counter and gave a sigh, unsure of what to do. This was the first slow day he had here in the shop, so what was he supposed to do? He figured he could make some new clothes, but he felt no inspiration. He sighed again but felt a tinge of pain run up his leg. It was his leg acting up again, reminding him that it was time for him to take his medicine that Flitwink had given him the other day. He pulled a container out from under the counter and picked out one of the odd colored leaves the doctor had given him. He began to chew on it absentmindedly as he once again rested his head on the counter with a bored expression. "Such a boring day..."
The change of tone was... Jarring, to say the lest. Cross-Stitch felt as though he had been hit in the muzzle due to the sudden shift in tone and direction of conversation. "Uh..." He sat dumbfounded for a second, unsure of what to say or do. He shook his head clear of confusion, he realized that he needed to say something or he would sound rude. Though, he was never one to turn down a customer... He nodded, and tried to smile, "That would be lovely." His mind was churning though, why did the conversation turn so suddenly anyways? And why was Flitwink now seeming very...Off beat? "I work at 'The Perfect Fit,' it's not too far from here. Any time the hospital isn't too busy, you could drop in." He said, giving him a full smile this time. I accidentally saved over the original drawing while I was coloring it, but you can still get the gist of it. \ And the colored version. Cross-Stitch beamed another smile at Rose, "For you, I will make you a deal of ten bits." He began to move towards the counter near the front of the shop, noticing that the costumer from before was ready to pay. He moved behind the counter and re-examined all of the clothing that his other customer had chosen, Cross-Stitch had to admit that he did have a very good taste in style, "Alright sir, since this is the grand opening, I'd feel like a crook if I charged you any more then forty bits." Cross-Stitch gave Colturnius another friendly smile.